“Make Your Story Yours” is a three-hour workshop designed for beginner storytellers. In a format that is both interactive and reflective, Kristen Chapman Gibbons will help participants examine which stories to tell and how to tell them. You will leave with one personal narrative to keep working on. The next opportunity is February 18, beginning at 2pm. I love questions that have many answers. My immediate response was something like, “learning to tell stories from your life helps people connect to you and to your art.” And that is true. When we feel connected to an artist, we naturally lean in when they speak. We pay attention. We care. We give them the benefit of the doubt is they mess up. They are more human to us. But that answer alone is unsatisfactory. And months later, the question has multiplied into something like this, why would anyone purposefully reveal something previously private? Why in the world should you have to get into your personal experiences? Why might you choose this kind of inevitable discomfort? And the answers to these questions go well beyond marketing. These questions get us closer to another truth. We tell our own stories to better understand the choices we have made, the people we have loved and let down, the experiences that shape our point of view. This sharpens our observation skills, our self-awareness, and insight. A lot of times, it gives us the perspective we need to make sense of our lives. Our stories tell us what we value; about ourselves, others, and the world. In many ways, telling our own stories gets us ready for another truth. Telling stories makes you better at listening to stories. To be still and listen intently to another person is to give a profound gift. When you can really hear a person, you are more likely to be changed by it. Listening is one of the simplest ways to grow more empathy. Stories connect us in a way that debates never will. They get us out of our defended positions and out on the field. To listen well is to become a receptacle for another person’s validation, to make yourself vulnerable, more known. Ultimately, we tell stories and listen to stories to feel less alone. 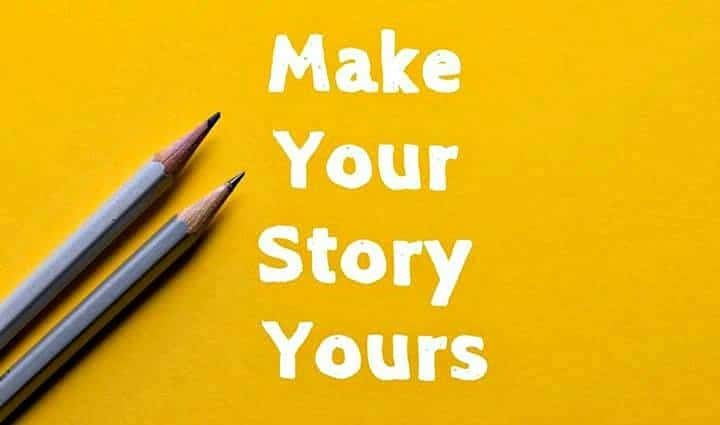 Your stories are unique to you, but powerfully connect you to all other humans. And if we are going to get through, we are going to need each other. We will need trust and compassion. We will need our full humanity. We will need our stories to connect us. We need it now. Kristen Chapman Gibbons is a teaching artist with abrasiveMedia and the founder of True Stories Let Loose.